In 2004, the founder of IMM Group Mr. Tran Van Tinh (Tony) had an opportunity to provide investment consultancy services to a Canadian client seeking to establish a representative office in Vietnam. This initial exposure enabled him to participate in the growth of the migration services industry in Vietnam. 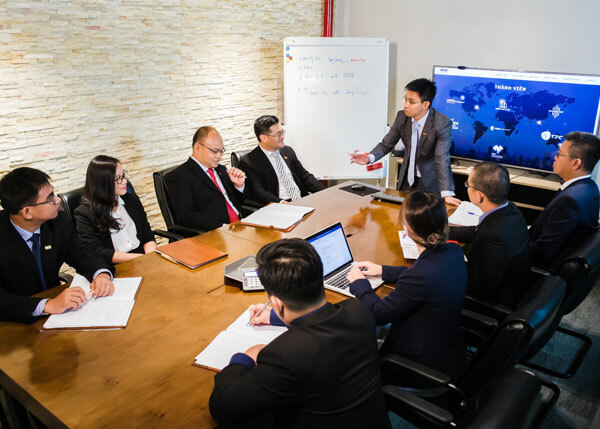 Mr Tinh established Immigration Co., Ltd in 2005, which is the pre-cursor of the IMM Group and becomes one of the pioneers of the migration services industry in Vietnam. Within a span of 15 years, several other businesses have been developed under the banner of IMM Group. IMM Group member companies and affiliated firms in Vietnam now provide international business and tax advisory services, accounting and financial review, property management services, conference and marketing services. These business units, together with our flagship business migration services unit, support our core value proposition of facilitating cross border investment between Vietnam and overseas. 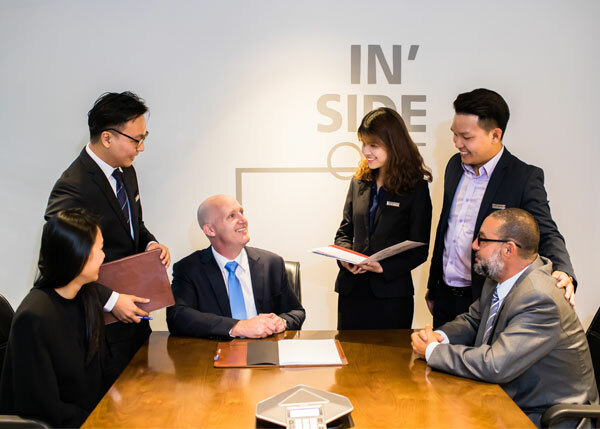 At present, IMM Group is located in 7 offices in all over the world, including Vietnam (HCMC, Hanoi, Hai Phong), Australia (Melbourne), Canada (Frederiction), and USA (Buena Park). Furthermore, IMM Group possesses a global partnership network in relevant fields, comprised of laws, education, travel, finance, real estate. IMM Group emphasizes sustainable enterprise development, enhancing the quality and values of our human resources, as well as beneficial contributions to our community. We set three Key Missions that anchor the purpose of our existence : 1) to develop a successful and sustainable Asian organization; 2) to nurture individual values of each employee in cohesion with our Corporate Core Values; 3) to contribute towards enhancing the self-respect and advancement of Vietnamese people in the global community, and to grow IMM's Charitable Foundation to help the less fortunate people in Vietnam. The sustainable development here refers to stability in finance, in human factor, in products and services quality. Finance is one of the most important factors in individual and corporate life, and this rule is applied for IMM Group’s business. One of the anchors for our corporate existence is profitable business with solid finances. Only with stable and strong finances can we provide for the material satisfaction of our employees , and then contribute to our community development and raise the group’s position in Asia. Beyond solid finances, sustainable development also depends on products and services quality, ethical values and professionalism. These factors enable us to earn the trust from our clients, crystallize prestige and values for IMM brand. In IMM Group, we understand that the development of each member is a harmonious combination of good human qualities and societal ethics. We care for the happiness of each IMM Group member by way of offering them benefits commensurate with responsibilities and works performed and in line with developing their personal values in life. We believe in our corporate motive of facilitating Work-Life balance, allowing our employees the space and resources to advance their career while at the same time striving for personal satisfaction in leading a purposeful, meaningful and happy life. In doing so, we also connect the values of each individual with our corporate values, with these positive energy resonating and spreading to the community around us. 3. To contribute towards enhancing the self-respect and advancement of Vietnamese people in the global community, and to grow IMM's Charitable Foundation to help the less fortunate people in Vietnam. Nourishing individual development with IMM Group’s corporate development, we are convinced that we could foster positive influences towards our national and global community. We shall contribute towards enhancing the self-respect of Vietnamese people in the global community, and build a lasting legacy for future generations. Each individual in the company shall be successful in one's own way, and then contribute positive influences to not only the society but also the subsequent generations. This planted small seed of positivity shall reverberate across the society over time. Upon achieving stable financials as well as gaining success and a sense of purpose in life, IMM Group and its members will be able to offer greater contribution to our community in terms of money, experience and knowledge so as to build a better life, a better society and a better world. Through IMM charitable fund, we shall offer essential contributions to the community through charity programs and social development activities. 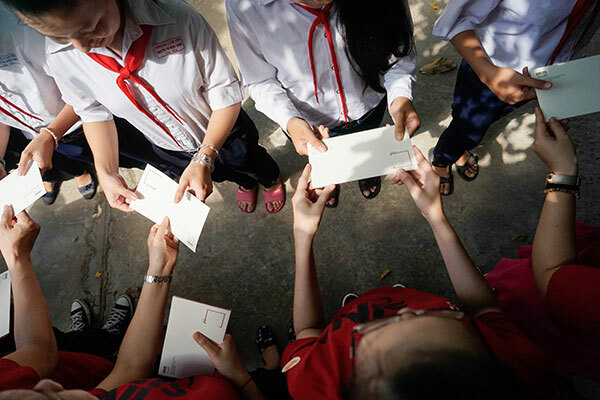 The IMM charitable fund aims to kindle compassion among our employees through awareness of issues facing the society as well as providing financial and social support to disadvantaged people in Vietnam. Joy and happiness cannot truly exist in a superficial and selfish way. Happiness will not last long if we lack the sense of contribution and sharing with others. Everlasting joy and happiness is when we are able to instill values that transcend beyond our own private self and leave a legacy for our future generations. We voluntarily stick to our commitment to contribute 20% of the annual profit for the IMM charity foundation. We set mission to achieve 1 million USD for this funds before December 2020. IMM Group adheres to ethical principles and sustainable development as our core values. We insist on integrating our collective values with the values of each individual as the basis for everything we do. IMM Group operates on the basis of compliance with the law, upholding honesty and integrity. In respect to our customers, we listen carefully and consider them as our kin to serve them as best as we can. In respect to our partners, we aim to build a sustainable relationship with high level of integrity, sharing mutual values and benefits as well as contribute to bringing the best benefits for our clients. For the society, our work shall contribute to the general development of our society - by developing our people and through our charity work. IMM Group’s Foundation has been built based on the trust and confidence of our customers and partners, in concert with our core values. We put ourselves in the position of our customers and partners to always understand, share and relate to them conscientiously in every situation. Following the positive direction creates rewarding results beyond what is anticipated. Positive leads to rightness, efficiency and sustainability. Conduct the business within integrity keeping the process on the right track. The requirements of integrity are transparency, straightforward and professionalism. Starting from every single care to gain the fulfillment. Conscience needs willing, full commitment and humanity. IMM Group’s business philosophies throughout our 10 years of operation can be summarized into the slogan “Inside Out”. This message fully represents all and every aspect of the group, from history, core values, culture, mission, internal and external relationships. The reciprocity between internal and external factors of IMM Group helps to shape and influence the development of the Group. Inspired from our founder’s past story, from being a street lottery ticket seller, a newspaper deliverer, a waiter, to finally establish a business in a small bedsit with almost no cash investment in 2005 (the ‘Inside’ aspect), IMM Group has made the most of its internal capacities to externally develop without any boundary or limitation (the ‘Out’ aspect). In terms of the reciprocity between the “Inside Out” philosophy and the values, IMM Group always emphasizes on the real, inside value of each individual of the group, and applies genuine moral value (Inside) in business activities, customer services and in creating partnership with external partners (Out). In the aspect of mission, IMM Group focuses on balancing between internal goals as to create a corporation in which all employees are happy (Inside); to establish a charitable foundation to help the unfortunate (Inside) and external goals as to provide service satisfaction (Out); to contribute towards enhancing the self-respect and the advancement of Vietnamese people in the global community (Out). For culture, people and lifestyle, IMM Group focuses on personal development and humanity, from the smallest aspects such as the behaviors and habits (Inside) that contribute towards the success and development of the Group as a whole (Out). Legal notice | © 2018 IMM Group. All rights reverved.